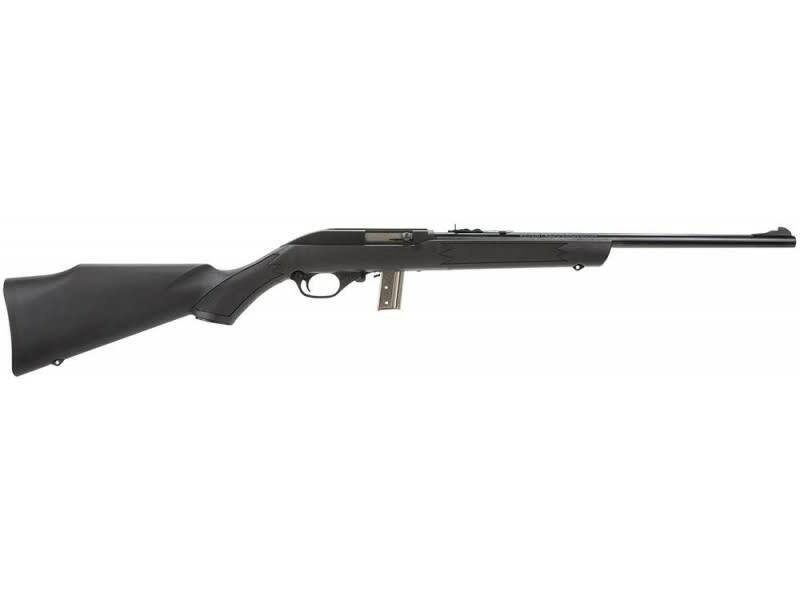 The Marlin 795 22LR rifle is a light, reliable, and precise rifle all at an affordable price. This rifle features an 18" barrel with a 10-round, nickel-plated clip magazine and an automatic, last-shot bolt hold-open. The stock of this rifle is black fiberglass-reinforced synthetic with molded-in checkering and swivel studs, this all makes a not only comfortable stock but one that will last for generations. The Marlin 795 is a 22LR caliber rifle that is noted for it's accuracy, reliability, and light weight. It has a highly efficient autoloading, side ejection, automatic last-shot bolt hold-open action that allows for manual bolt hold-open and cross-bolt safety. The stock is Monte Carlo black fiberglass-filled synthetic with swivel studs and molded-in checkering, and has an 18" barrel with a 1:16 twist rate.